I took incredible pleasure in slowly working through Simon Winchester’s new book Pacific, which serves as a sort of companion piece to his 2010 effort Atlantic. And what better a place to delve into a book about the world’s greatest ocean than in the middle of that ocean – Tahiti, where I was lucky enough to spend a week recently, with Winchester’s new book my reading material over successive afternoons, sitting under a palm tree, a warm breeze blowing in off the turquoise sea. 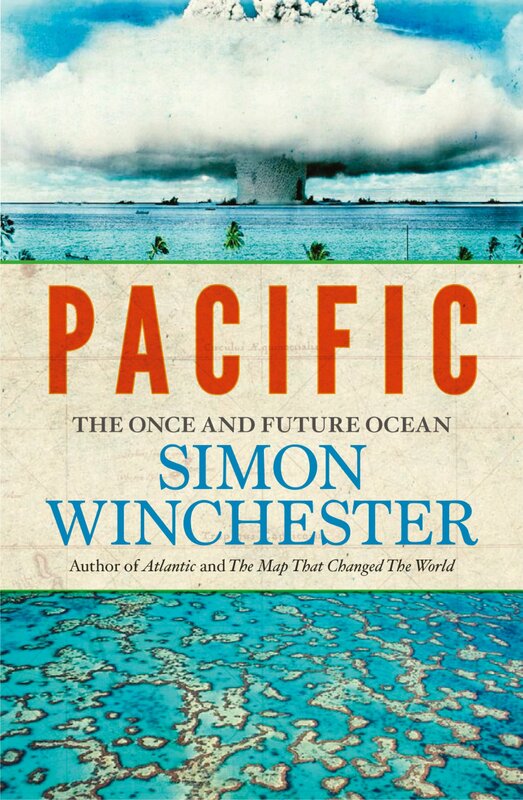 Like most of Winchester’s books, Pacific is a gripping and evocative mix of official history and colourful anecdotes he’s picked up along the way. With Atlantic, he struggled to come up with a way to structure the book, choosing in the end a framework based on Shakespeare’s seven ages of man from his play As You Like It – infant, schoolboy, the lover, soldier, the justice, “slipper’d pantaloon” and elder with a “second childishness”. That sort of worked. We bounce therefore, from nuclear testing on Bikini to the rise of the Sony Corporation in Japan to life-giving sea vents on the sea floor and the birth of surfing in Hawaii. Several science-related talks and panel discussions involving best-selling authors and journalists are being held as part of the New Zealand Festival Writers Week (8 – 13 March). Like the Sciblogs page on Facebook to go into a draw to win tickets to one of these events. Flicking through the table of contents, I had my reservations about the journey Winchester was preparing to take me on, but by the end of chapter 1, I was hooked in, such is Winchester’s skill at combining popular history with colourful travelogue. It helps that he has actually visited most of the places he dwells on in the book. For science buffs, this is not a natural history book, but there’s plenty of science-related content delivered in the style of Bill Bryson – just detailed enough to paint the bigger picture of its relevance to the subject. The overwhelming impression Winchester leaves us with is that the Pacific is key to the future of the world yet has been exploited, controlled, fought over, polluted and plundered. If we are to repeat the mistakes of the past by mistreating this vast stretch of water, the implications for all the people who live in it and border it, as well as the world at large, will be dire. There’s plenty of insightful commentary in here too, such as in the chapter How Goes the Lucky Country?, which rightly points out Australia’s poor record of citizenship in the Pacific. In Of Masters and Commanders, possibly the best chapter in the book, Winchester gives us a fascinating portrayal of the rise of the Chinese in the Pacific. By looking backwards to key moments in the history of this remarkable area, Winchester gives us a snapshot of what its future may look like. That future is one as potentially promising as the Mariana trench is deep. But danger and tragedy loom if we repeat the mistakes of the past, some of which have shaped the Pacific that laps at our shores.